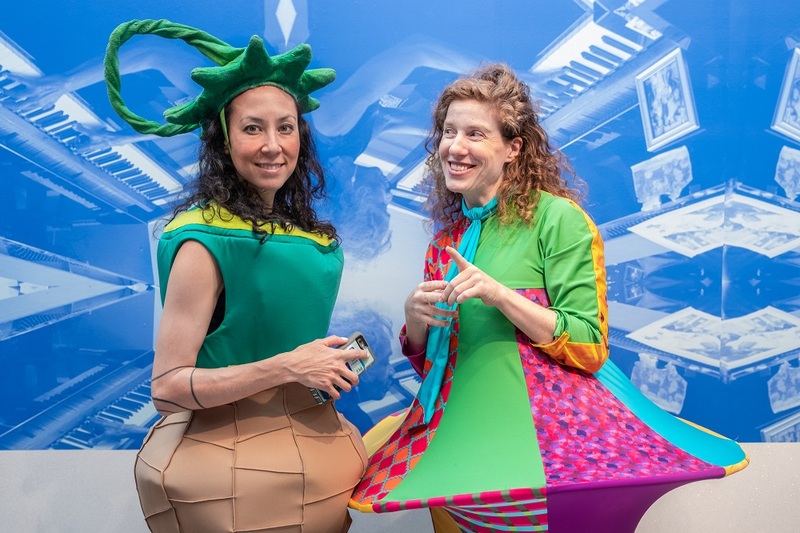 Renowned social practice artist, Marisa Morán Jahn’s first solo show in a US museum, BIBLIOBANDIDO: STORY EATER is a participatory, multimedia installation that unfolds the story world of Bibliobandido, a story bandit that eats stories and terrifies little kids into offering him stories they’ve written. 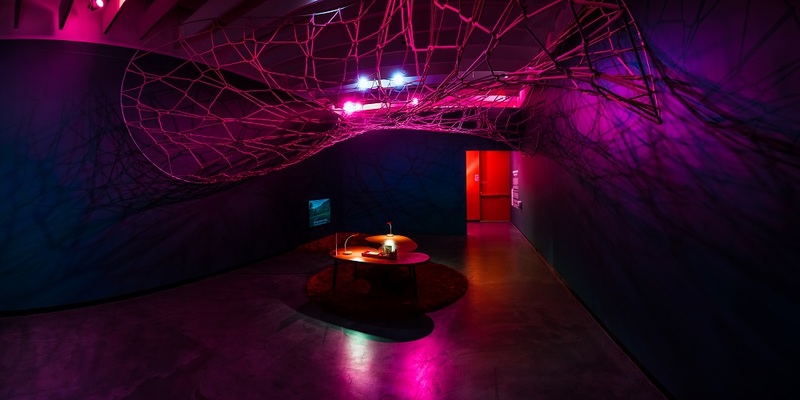 The exhibition was developed in collaboration with architect Darío Nuñez-Ameni of Atelier DNA (formerly of Acconci Stuido), guest curated by Amy Rosenblum Martín (Guggenheim Museum) and organized by Museum Director and Chief Curator, Lauren Kelley. 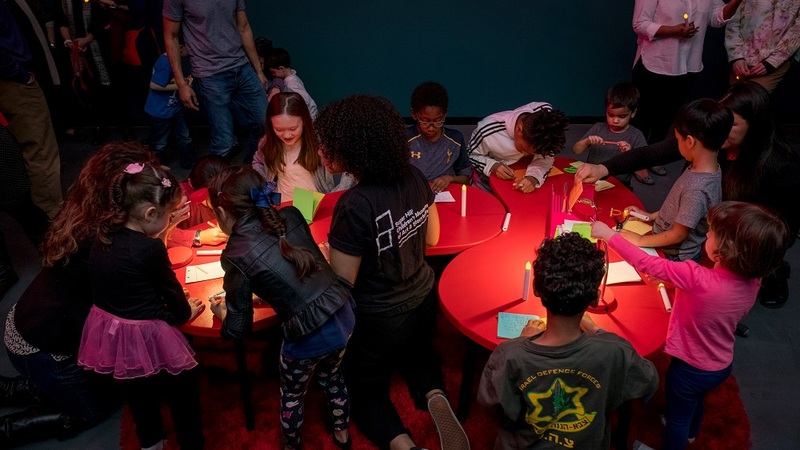 Visitors will be invited into the dark shadowy space guided only by battery-powered candles (provided at the entrance) to explore the mysterious, interactive and magical environment. Upon entering you will be overcome with projected enneper shadows throughout the space to evoke a rainforest, in homage to Bibliobandido’s birthplace Pital, Honduras. 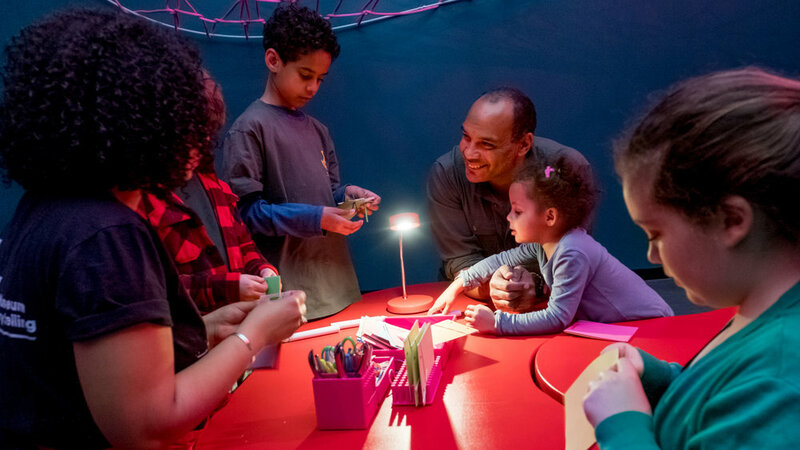 To highlight the urgency and dignity of storytelling, visitors of all ages are asked to create their own book and make an offering of stories to appease the appetite of the well-loved villain. 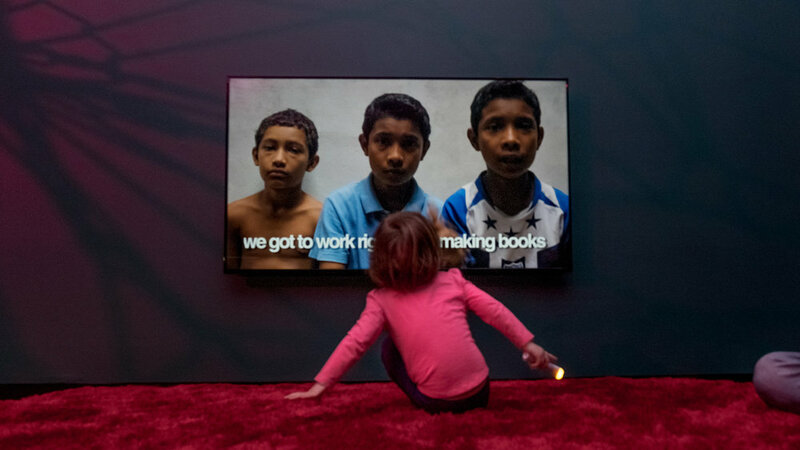 A video featuring the children of Honduras telling the story of Bibliobandido in Spanish with English subtitles will be on view, as well. 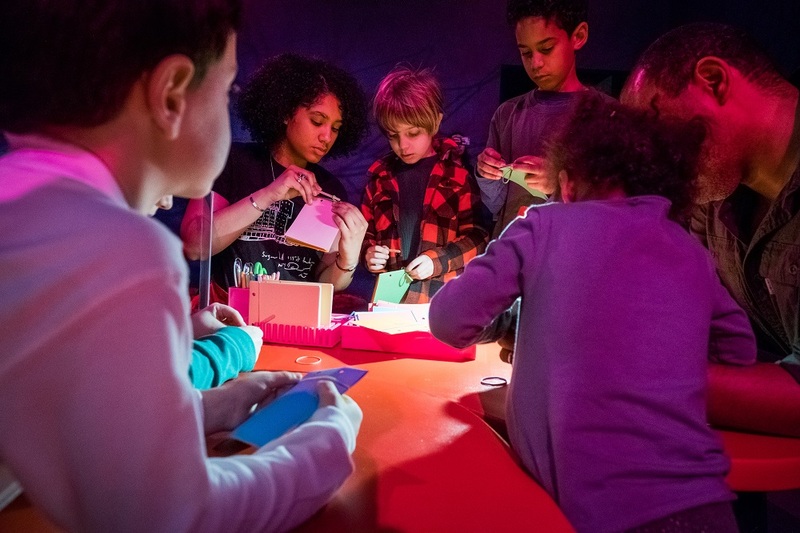 Most recently, through a commission from the Peabody Essex Museum in Salem, Massachusetts, Jahn began collaborating with the State’s shelter system to create Bibliobandido-inspired pre-literacy activities for toddlers whose development has been impacted by challenges including food shortage, domestic violence, and homelessness, among others. 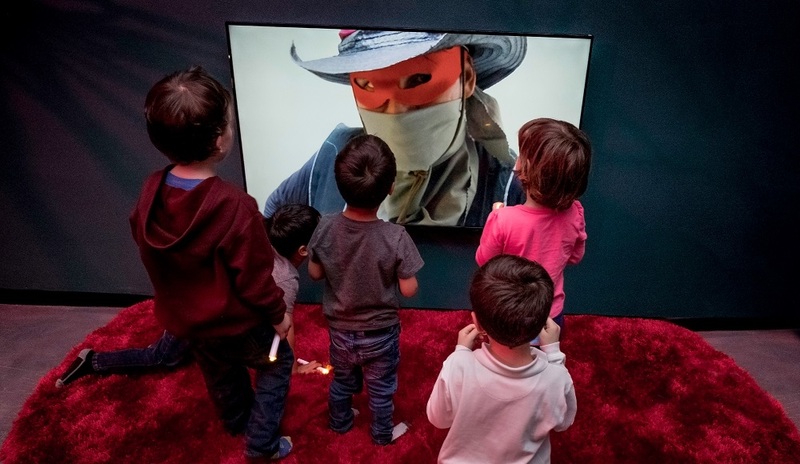 In 2016, the Seattle Public Library adopted the masked bandit as a mascot for their digital literacy programs. Bibliobandido was originally conceived in 2010 by Jahn in collaboration with residents of El Pital, a rural Honduran community with a low literacy rate. In an effort to avoid general calamity, the local children would prepare their monthly sacrifice of stories for the masked bandit. In addition, on the third week of every month (Bibliobandido Week), local youth collaborate with one of 19 participating villages to invent new characters and narratives, adding to the character’s saga. Today, thousands of children in Honduras, Miami, New York, Nicaragua, and Seattle, have come to believe in Bibliobandido, and character whose fame rivals Santa Claus's. Marisa Morán Jahn is an artist, activist, and founder of Studio REV-, a non-profit organization whose public art + creative media with low-wage workers, immigrants, and youth has been seen by millions of viewers at diverse venues including The White House in D.C., Tribeca Film Festival, Museum of Modern Art, worker centers around the nation, and a PBS docu-series entitled The CareForce One Travelogues produced with Oscar and Emmy-winning filmmaker Yael Melamede (SALTY Features). Jahn regularly teaches at MIT, Teachers College at Columbia University, and The New School. In addition, for the past 20 years, she has taught and developed curricula for K-12 youth in public schools, museums (American Museum of Natural History), and libraries (Seattle Public Library). Her work has received acclaim in The New York Times, Art Forum, Art in America, Univision, BBC, CNN, Los Angeles Times and has been awarded grants from Creative Capital, Tribeca Film Institute, Sundance, NEA, Rockefeller Foundation, Map Fund, and Anonymous Was a Woman.